Cabin cruisers are extremely popular in Florida, especially for those with families and small children. They are essentially powerboats with cabins. Typical features include a galley (kitchen), a head (toilet) and at least one or more berths (sleeping areas). Many also have an aft cabin (dining area) and a spacious cockpit section. These sizable vessels range from 24 to 45 feet in length, and can be operated by a single person. While providing similar amenities to yachts, cabin cruisers tend to be less complicated transport, easier to store and less expensive to purchase. Most also have air conditioning, heated water and power generators. That makes them an attractive option for many people, especially for longer trips or entertaining. Inboard drive is especially favored by those navigating brackish or saltwater bodies. 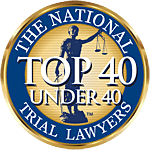 The Fort Myers boat accident lawyers at Associates and Bruce L. Scheiner, Attorneys for the Injured, know these vessels are also involved in a significant portion of boating accidents in Florida. According to a recent report from the Florida Fish & Wildlife Conservation Commission, cabin motorboats were involved in more than 28 percent of all reported boating accidents in the state in 2013 (208 out of 736). Cabin cruisers were involved in 858 accidents. These cabin cruiser accidents resulted in 277 injuries and 47 deaths. About half of the deaths stemming from cabin cruiser accidents were caused by drowning. Primary causes of cabin cruiser accidents were improper lookout, operator inattention and failure of machinery. Most common types of accidents involving cabin cruisers were collisions with other boats or vessels, collisions with fixed objects and grounding. Part of the reason these boats are involved in such a high percentage of serious and fatal boating accidents has to do with their popularity. However, in recent years, there has also been an issue with speed-related accidents. Newer cabin cruisers tend to be much faster than older models because manufacturers have released designs featuring improved hydrodynamics and aerodynamics. While these vessels usually provide smooth turns and stable rides, that can provide a false sense of security for operators when it comes to pace. Just because an operator can go faster doesn’t mean it’s a good idea. Of the 53 deadly boating accidents in Florida in 2013, 32 occurred while the vessel was in cruising mode, and excessive speed is consistently cited as one of the top 10 causes of boating fatalities. Cabin cruisers are usually considered Class 1 or Class 2 recreational vessels depending on their size, and must adhere to minimum safety requirements, as listed here and here. While carbon monoxide poisoning may be a risk on any vessel, it’s especially concerning in cabin cruisers because of the existence of an enclosed space. Carbon monoxide is a colorless, odorless, tasteless gas produced when material containing carbon burns. This can include gasoline, wood, natural gas, oil, or coal. In high concentrations, exposure to carbon monoxide can be deadly in a matter of minutes. Florida law does not require owners of cabin cruisers to secure insurance for their vessel, even though the average cost of ownership—$50,000—far exceeds what one would expect to pay for a motor vehicle. Still, purchasing insurance is smart, not just because it protects one’s investment, but also because it will shield owners and/or operators from liability in the event a collision results in serious injury or death. In such an event, an insurance company typically provides coverage for legal expenses and court fees, as well as damages paid to injured parties or survivors of decedents. Many companies also recommend an additional personal umbrella policy, which provides additional coverage when damages claimed in a civil lawsuit exceed the limits of a boat liability policy. When an individual is injured as a result of negligence by an uninsured boater, there may be an option to pursue uninsured or underinsured coverage from the injured party’s watercraft insurance, assuming such coverage was secured prior to the crash. However, there are scores of exclusions, and insurance companies tend to fight these claims vigorously. Our experienced Fort Myers Beach boat accident lawyers are familiar with these types of challenges, and have consistently overcome them to win clients compensation for damages.